The Aztecs are known today as an ancient South American civilisation that was ahead of its time in architecture and other facets, and these days you can still see the ruins of that civilisation and how they have influenced the way we build these days. Of course, you may have also heard some rumours of the gold that civilisation would stockpile, and how no one to this day has been able to find those riches. until now. 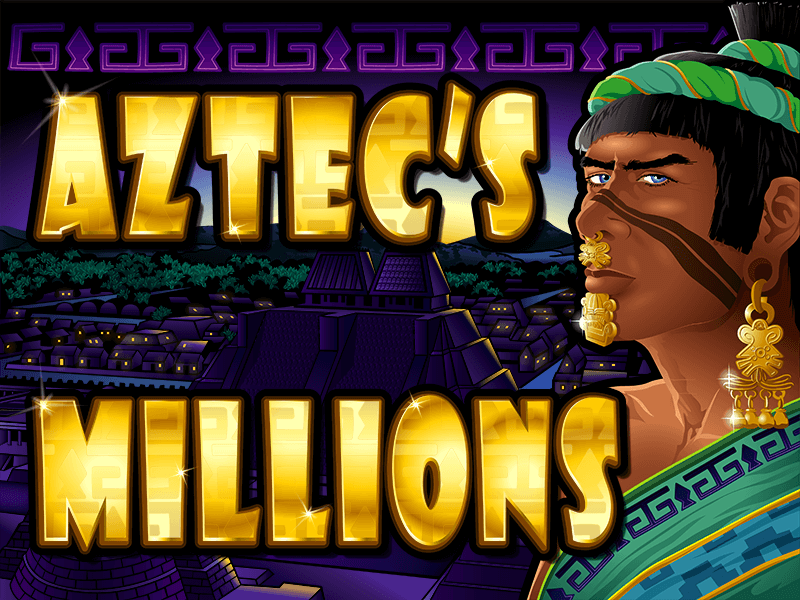 Playing the game of Aztec's Millions, brought to you by Yebo Casino, will take you on a virtual adventure to find the gold rumoured to be hidden by the Aztec's. In this five reel game with 25 paylines, there is a lot of reward to be found for very little effort on your part. The game offers many of the symbols that are so inherent to the Aztec culture. You can expect to see a native of the Aztec civilisation, wild animals such as the growling jaguar and jewellery too. When you play the game, you might notice that it look somewhat similar to the game of Aztec's Treasure. This is because the smart folks at Real Time Gaming have made two versions of the same game, of which Aztec's Millions is the progressive jackpot version. When you're ready to bet on the game, you may notice that the wager is fixed per spin. As the game is progressive, this is not really surprising. The number of paylines is fixed too, which may not be every person's cup of tea, but if you want to win, this game does all the thinking about how to wager for you. It really is as simple as hitting the spin button and watching the reels go. The symbol of the game, which you will immediately recognise, is the key to winning the progressive. Find five of these and you'll stand in line to potentially win millions. This is certainly not something that many video slot games offer, and if you have your eyes set on the highest prize, you should keep playing. One of the game's most player-friendly features is the stacked wild. The wild is the king of the Aztecs and should he appear, which he only does on reels two, three and four, he will finish off any winning combination. Because he is stacked, he will also create more opportunities for you to win since he can appear on all three places on a reel. We have many winners at Yebo Online Casino but if you don't manage to hit the progressive, you'll be glad to know that you can still access a top fixed payout of up to 5 000 coins. You'll have to find the queen of the Aztec's to net that reward. If you hit on the jaguar, you'll win a decent 2 500 coins and if you only get the headdress, you can still get 1 000 coins. The game has other great features including a bonus game and an autoplay function, but if like so many players out there you want to win, this is the game to do it on.